A court in Madrid is investigating the comedian Dani Mateo for a TV sketch during which he blew his nose on the Spanish flag. The entertainer has been summoned to declare this coming Monday. 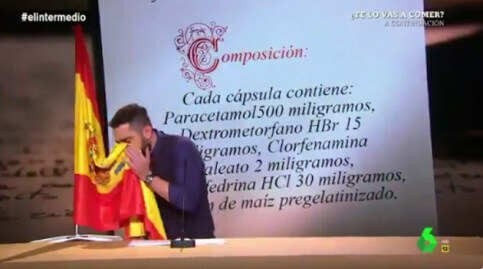 The gag sparked harsh criticism throughout Spain and especially on social media, ultimately leading to the satirical program ‘El Intermedio’ apologizing and La Sexta TV channel taking the video down from its website. ‘What’s happening to me confirms that the gag was pointing in the right direction,’ said Mateo, in reference to the insults and threats he and his family received.